Valerian Root essential oil has a rich, deep, woody, musky aroma that you’ll either love or hate. It is one of the most widely used natural sedatives in Europe and is commonly used to aid relaxation and to help treat insomnia. Valerian is a perennial herb with short rhizomes, aromatic feathery leaves and clusters of small pink or white flowers that bloom from June through to September. The plant is native to Europe, North America, and the northern part of Asia. Valerian essential oil is steam distilled from the plant’s rhizomes (roots). Valerian has been used as a medicinal herb since ancient times. Both Hippocrates and Galen recommended Valerian as a remedy for insomnia and it has been used for similar purposes in Ayurvedic and Chinese medicine for thousands of years. Valerian was also used in many traditional love potions and aphrodisiacs. The name Valerian is derived from the Latin verb 'valere' which means 'to be well' or 'to feel good'. The name reflects the medicinal properties of the herb which was also known to herbalists as 'all heal'. Today the herb is commonly used in herbal remedies, supplements and teas for sleep disorders, anxiety and psychological stress. Non-toxic. Possible skin sensitization. Do not use during pregnancy. Do not use in combination with pharmaceutical sedatives, antidepressants, or alcohol. Valerian Root essential oil has been used for skin complaints, such as ulcers, eczema and minor sores and (closed) wounds. Valerian is a calming and grounding essential oil with tranquilizing properties. It can help to calm and relax the nervous system and can be beneficial for anxiety, stress, depression, restlessness, insomnia and for helping people cope with emotional trauma and tension. 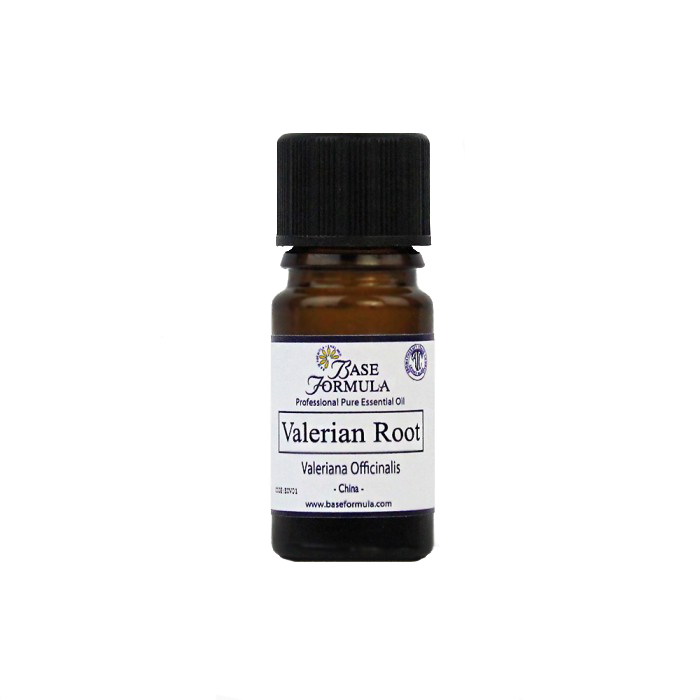 Valerian Root essential oil can assist with pain relief and relax spasms. It is can be used to treat migraines, PMS and painful periods. It can also help to lower blood pressure, stimulate the appetite, improve digestion and help combat stress-related indigestion.